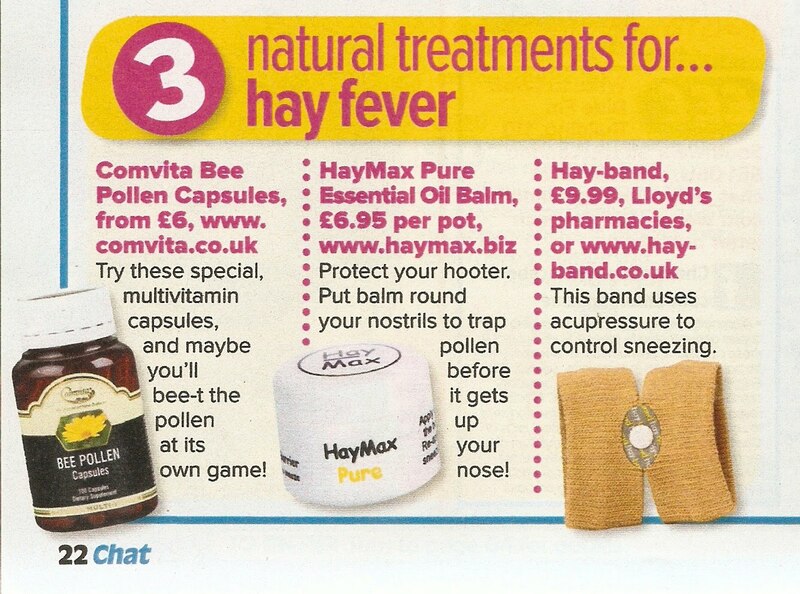 HayMax Pur was featured earlier this month in Chat magazine as one of three really great natural treatments for hayfever. HayMax featured alongside an accupressure band for hayfever which targets accupressure points on the body – try the Qu-Chi band, and the Comvita Bee Pollen Capsules. HayMax is also available with soothing aloe vera and calming lavender. Made with only 100% organic ingredients and 100% essential oils of the highest quality, it is a truly natural product for hayfever.